Hi! These look absolutely amazing, I can not wait to try them! One question though: is balsamic vinegar a must or can be skipped? Thanks! As good as advertised! Try it. Unreal. Delicious. I’ll never make brownies another way again. @skinnytaste, do you think i could get away with reducing the sugar somewhat in these? i suspect youve probably done the best you can without compromising taste/texture. Love your recipes! have had such good reviews from picky children and adults alike! I STILL cannot believe how great these were!! I’m so glad I took a chance on the reviews. Probably one of, if not THE best brownies I have ever had!! Thanks so much for the recipe! One thing I did change, was I used eggbeaters instead of regular eggs. Excellent!! can you leave out the coffee? I am making this with Truvia baking blend and 1/2 the chocolate chips for 4 points. 9 servings. I will let you know how they taste. It was moist, but too moist that it fell apart. Wasn’t as chocolaty as I’d hoped. I might give in and try this with some flour in it. These are soooo good! Don’t make the same mistake I did, though: I accidentally bought seasoned black beans (contained cumin, chili powder, etc.). Ha! Amazing is an understatement! I used a 1/2 cup of sugar and 1/2 cup of chips total. It was plenty sweet and SOO good! Cannot tell there are beans at all! I will definitely make this again! These are truly AMAZING! I made them (in 24 mini muffin cups) for a baby shower where the mother has diabetes and they were a hit! Thank you so much for sharing with us! Forgot to add that I substituted splenda for the sugar. And Hershey’s sugar free chocolate chips. These were easy to make and really delish. I wish it was easier to get the batter out of the blender but other than that a really easy recipe. I used expresso powder and a combination of Chocolate chips I had on hand for Cookies of milk, bittersweet and dark chocolate. Do you think there is any way to replace the sugar with a substitute? Dark chocolate fudgey brownies. Used coconut sugar and whole milk since it was only a tablespoon and all I had lol but great recipe and my first time trying black bean brownies. I used the regular sodium beans and they cut without falling apart when still warm. All I needed was a scoop of ice cream on top. Was a little too dark chocolatety for my husband’s taste so I froze them to keep from eating them all by myself. I look forward to making again and having the kids try. 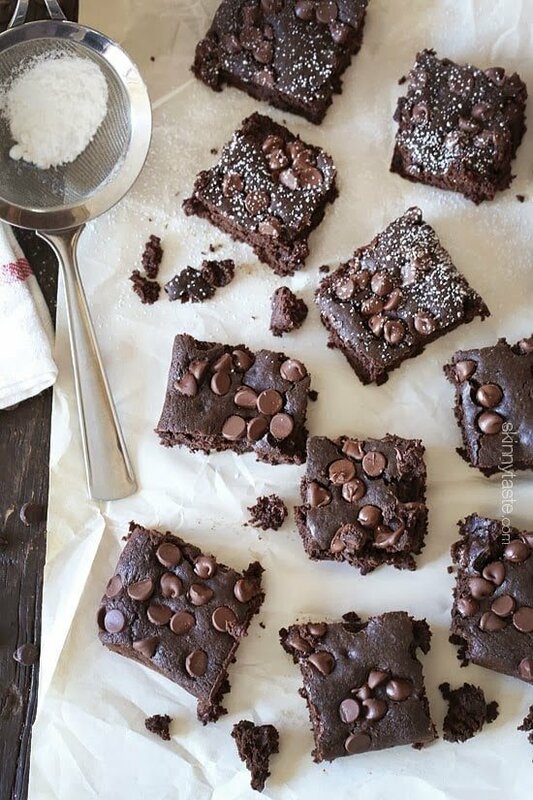 These brownies are super easy and delicious too! I made them for my hubby’s co-workers and everyone asked for the recipe. Nobody could believe that they were made with black beans! Thank you for sharing this recipe. We will be making these healthy treats again. These were excellent and I can’t wait to make them again. Next time I’ll make them in mini muffin cups and then freeze them right away so I don’t eat them all! I made these today for my office for Valentines Day because most of us are on Weight Watchers ( or SHOULD BE! LOL). They are amazing! After cooling completely they were still very soft so I froze them prior to cutting which helped but still not a great presentation.. Perhaps I used the wrong knife?These will quickly be a ” go to” for a quick relatively healthy sweet! Thank you!!! ( no one knew there were beans in them). We had guests over and one is celiac so I wanted to make a dessert that everyone can enjoy! I was skeptical about this one … black beans?!? … but I went for it and WOW! Everyone loved it – and my friend insisted on getting the recipe! Thanks Gina! Holy cow!!! I admit that seeing beans and balsamic vinegar in the recipe made me very skeptical, but wow! These are the best gluten free brownies I have had in a long time!!!! What an amazing diet friendly dessert…thank you! Awesome! There was no room for improvement, already perfect! i want to make a double batch of this in a 9×13 pan. anyadvice on how long i should bake them? Absolutely amazing! My entire family loves these and are just amazed when I tell them they have black beans in them. Awesome recipe! 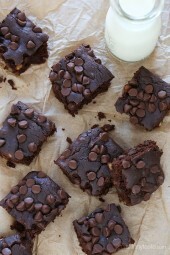 Hello – I often make peanut butter chocolate brownies by adding the PB2 powder. Has anyone tried that with these? If so, does it work? Thanks! So amazing! A bit crumbly but very rich and fudgy, great flavor! 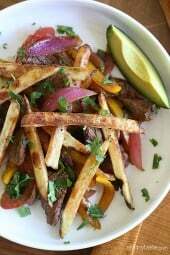 Hello Gina, I just tried this recipe and it was amazing! Can’t believe I ate two pieces. Can you tell me what the best way of storing them is? Keep in a sealed container. Very strong dark chocolate flavor. We don’t like dark chocolate so these aren’t for me. You cannot taste the beans at all though. If I wanted to make these as a mini-muffin, any idea how long they should be baked? The only thing I did different was sprinkled a little habanero sugar on top after they came out of the oven.Delicious! Can you put walnuts in them? Would these still be tasty without the chocolate chips?? (Just don’t have any in pantry at the moment.) Thanks! I’ve been trying to cut back on sugar, but I had a major chocolate craving and decided to try these! I didn’t have any sugar, so I used 1 tbsp of stevia powder. I also upped the almond milk to 1/4 cup because my batter was much thicker than Gina’s (possibly because I only have an immersion blender). After reading some reviews that said their brownies fell apart, I decided to use silicone muffin cups instead. I also skipped the chocolate chips in the batter and I just topped each cup with 1/3 ounce of mini semi-sweet morsels. All that said, the edits gave me 8 servings instead of 16, but each “muffin” is only 3 Smart Points. Baking time was 25 minutes and they were amazing. Rich, chocolate-y, and not overly sweet. Delicious!! My whole family enjoyed them and no one suspected the black beans;) I did have a little trouble cutting them because they were so crumbly… might try baking just a little longer next time. These are amazing!!! Instead of 3/4 real sugar I did 1/4 sugar and 1/2 cup Stevie In the Raw and they tasted delish. Next time doing the full 3/4 cup Stevie In the Raw. Also did the apple sauce instead of oil. My husband walked in the kitchen when I was making them and gave me a crazy look when he saw the black beans. He loved the finished product!! As much as I love chocolate will probably cut back on the chips next time. Can’t wait to make again!!! The family was more than a tad skeptical when I pulled out the black beans, but my daughter has a friend that is both gluten and dairy free due to serious allergies, so we decided to give these a try. Left out the coffee, and made them with Dairy Free chocolate chips and whipped them up in the Vitamix blender…. those beans didn’t stand a chance! Fudgy and delish! The skeptics were amazed, and praised both the taste and texture. They were a bit sticky when I cut them (even totally cool), so if I were going to take them somewhere, I might try the individual brownie pans to make more of a “crust” on the individual squares, but they are not lasting long enough for anyone to worry about the fudgey stuff on the knife and fingers! Thanks for an awesome treat! Amazing would never know that they were made with no flour. These were so delicious!!! Never would have guessed in a million years they were made with black beans if I hadn’t made them myself! Why, when I enter the nutritional info into the WW calculator, do I come up with 6 points instead of 5? Probably the best brownie I have ever eaten!! So yummy!!!! Going to make these again for sure!!!! These are absolutely delicious! I did not have a square pan so used a 9″round springform pan. Easy enough to get the parchment paper on the bottom but more challenging to do the sides. Threw off the finished product when trying to cut them but that was it. Will be buying a square pan because these will absolutely be made again…and again…and again!! I made these and substituted Swerve for the sugar, unsweetened almond vanilla milk. Next time i’ll swap out the semi sweet chips for lilly chocolate chips made w stevia…..the ladies at work LOVED them! There are so delicious and fudgey tasting! I have made them twice, and they seem to fall apart when I’m cutting them. Any tips? Am o doing something wrong? I made these tonight but I’m confused with the point calculation being only 5sp? I calculated all the ingredients together and it came to 8sp that’s also with the new freestyle program not counting the beans or eggs? Are these still 5 sp per brownie on the new freestyle plan since black beans are now free? Yes, the SP now reflect the new freestyle points on all recipes. What the heck?!? How are these so good??? And prefect for Passover. I can’t believe it! Well done! Are these still 5 points on the freestyle system? Can sugar substitutes be used? If yes would I use the same amount? Thanks! I’m wanting to try this recipe, but make it sort of a “Mexican Hot Chocolate” brownie by adding some cinnamon, a little nutmeg and cayenne. With the balsamic and coffee that you use, do you think the flavors would complement each other? I know you probably haven’t tried it this way, so just your best guess. I haven’t tried the recipe yet, and I don’t have time for a test batch! These are unbelievably good!!! Easy to make and delicious. A genius idea!! Gina, can I ask you which blender you use? In the market for a new one ! Can you substitute honey for the sugar and if so how much? These are made almost weekly in my house for dessert . Totally curbed my cravings for ice cream and other sweet things. I’m making a batch of these right now. Thank you for so many delicious recipes, my waistline wouldn’t be the same without you! Cannot day enough good things about this recipe! They do not taste different than the traditional tasty brownie and I feel so much better eating them. Like she suggested I threw in some walnuts and it amped up the brownies just a bit. 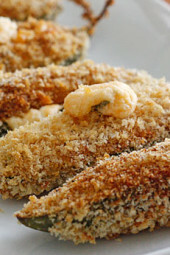 I’ve made them several times and everyone I have had try them can’t help going back for more! If I want to make these more “low carb” what do you suggest for replacing the sugar? I love these brownies! Great way to satisfy a sweet tooth without going overboard! Also, great way to sneak healthier foods into my boyfriend’s diet… First time, he had no idea they were “healthy”. Still thinks they’re delicious after knowing! Canned beans – are they cooked? I have some uncooked beans I bought in bulk. Can those be used as is after rinsing? Also, Equal Exchange makes much healthier chocolate chips than Hersheys! Yes the beans are cooked. these are INCREDIBLE – dare I say, better than flourful brownies or anything from a box. can’t wait to make them again! Just made these today! So delicious!! Would never know it was made with beans….love it! Thanks for sharing! What will happen if I don’t use parchment paper and just spray the pan with Pam? Can I use paper muffin cups? Should I spray the cups with Pam? Wondering the same – did you try it? I am a chocolholic and I am trying to loose weight but crave chocolate. This hit the spot… these are so good .. thank you. I made these using flax seed egg replacer (1 TBPS flax seed/3 TBSP water per egg), a pack of Stevia and cut sugar to 1/4 cup and used Ghirardelli 60% cocao chips. They came out great. Also put them in muffin cups to help with portion control. I’m glad that you posted about using a flax egg. I have gluten free vegans at my work and wanted to make a treat just for them. Glad to know a flax egg will work! Made these, they are super moist, but they do taste like beans to me, I drained & triple rinsed my low salt beans. They weren’t horrible, just not filling my brownie craving. I suspect you could bake some chocolate on top of the cardboard box and then claim that it was gluten-free and full of fiber. However that has nothing to do with the way it actually tastes. Not a fan of this recipe. Are there any substitutes for the sugar? It has 1:1 ratio and tastes EXACTLY like sugar, is made from trees and natural and bakes great. It’s the first sweetener I’ve used that doesn’t leave a horrible aftertaste and isn’t overly sweet. It really just tastes like sugar. The only difference is the granules are a little bigger. Hope that helps!!! Made these this afternoon for a snack. Everyone ate them up and complimented me on the brownies. Then I told them all afterwards that I used black bleans, and everyone was surprised! I added some PB2 to my batch. These seriously are amazing and I will be making them plenty of times in the future. Thanks again for another awesomely delicious recipe Gina!! I made these last night. They are amazing!!!! I followed the recipe as is and they turned out awesome. Thank you so much for a sharing. I admit it. I was super skeptical, but I was bored and had a can of beans. VERY tasty. Pleasantly surprised they tasted nothing like beans. I dumped all the ingredients in a bowl and used my immersion blender. My oven took 42 minutes to cook before the toothpick came out clean. PLUS, silly me forgot the parchment paper and they completely fell apart during cutting. Next time, I will make them as muffins in a muffin tin with liners to avoid that heartache. Great recipe! I have made the Flourless Brownies and the PB2 Flourless Brownies a couple of times each to figure which ones we like best. First off – they are both great! Easy to put together, moist, and chocolatey. These are amazing!!! Delicious, moist and healthy. Yea!!! Would this change the points? These were delicious!! Thanks for the recipe! I just made these be they were very yummy! I only have one, question, even though they were fully cooled off, when I cut them, they started to fall apart. Why?? ???? 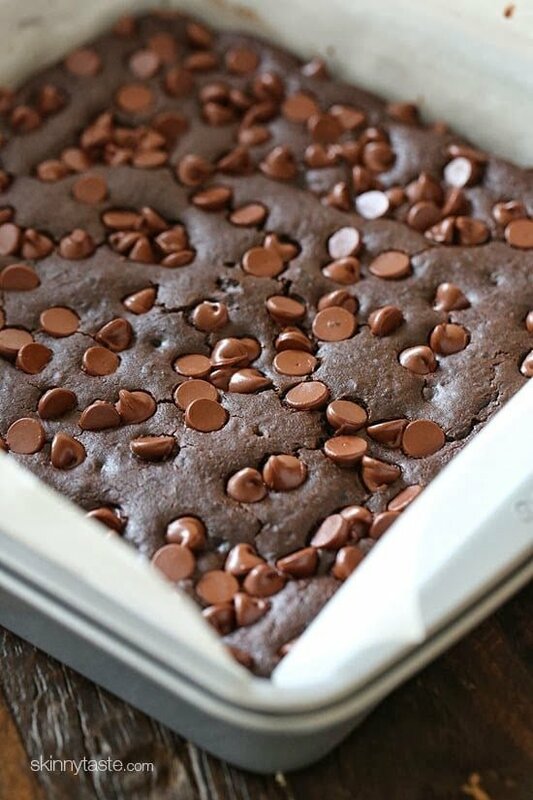 Well they are a little crumbly anyway, but maybe try a brownie pan (where they are separated)? I had my doubts…Black beans? No flour? These brownies were AMAZINGLY delicious! They took no time at all to whip together in the blender. I had NO trouble with them breaking apart as indicated in a previous review. I think the key is letting them fully cool for at least one hour. Super moist and the clean up was a breeze with the parchment paper. 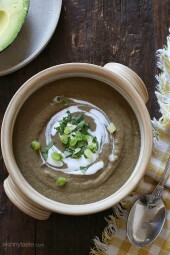 Will be repeating this recipe for sure! I commited the terrible mistake of grabbing a can of seasoned beans and of course my brownies tasted a bit of beans. So, as I was reading some of the comments claimed the recipe tasted like beans, you might want to check you’d bought the right and unseasoned beans. In the future I’ll try this recipe again but with unseasoned beans because they look well moisted and chocolate flavoured. OMG Gina!!! These are so good!!!!! The entire time I was making these I was doubting if they would be as good as all the comments are saying. I mean c’mon black beans and balsamic vinegar….. How? Really? Yesssssss, really!!! Thanks Gina. These are definitely a winner. These are my first browbies that I’ve ever made. Never making them any other way. This were so easy to make and so good! Delicious! I used coconut sugar instead of white sugar and next time I make them I’m going to add a grated zucchini ???? I love this idea! I totally want to try it with zucchini too! These are so good! I will probably cut the chocolate chips in half and try reducing the sugar next time though. I’m sorry if you have already answered this question, but there are A LOT of comments to read through!! I don’t have any canned black beans, but I do have dried. Have you tried cooking the beans in your Instant Pot and using them in the recipe. If you haven’t, I’ll go and make them as written before I start experimenting! I have not, but if you do let me know how they came out! Amazing! Really. I have the pickiest children in the world and they loved these brownies! Thank you. These look delicious but I’m wondering about the nutrition information. There is nothing under saturated fat but both eggs and chocolate have decent amounts. Is this correct? I made them tonight. I sprayed the pan and then put the parchment paper on. I put the batter mix on top of the parchment paper. I bake it and let it cool. When I went to cut it and went to get it off of the parchment paper. It fell apart. It didn’t stick together. What did I do wrong. I followed the directions. They are a bit delicate, you could make them in muffin tins next time! Any tips on how long to cook in muffin tins? I just made these tonight and the same thing happened to me! More like a brownie crumble but so delicious! I can’t believe you don’t taste the beans at all! I made them in a paper lined muffin tin and they are stuck to the paper. Would it be better just spray the tin and was also wondering how long to bake for 12 muffins. They look fantastic! I really want to give them a try… Are their any substitutes for the balsamic vinegar? I substitited 1 teaspoon of cider vinegar and a pinch of sugar for balamic vinegar. Is the coffee a must? I didn’t put coffee in them and they still tasted great! Thanks! Was going to ask about the coffee. Not a fan of the flavor and wanted to make sure omitting it wouldn’t change the brownie’s texture or flavor. The coffee adds a deeper element to the chocolate. It doesn’t change the taste or taste like coffee. OMG!!!! soooo gooood!! And I don´t even like brownies but made them for a friend and my family and they are to DIE FOR!!!! thanks again Gina for another FANTASTIC recipe!!! 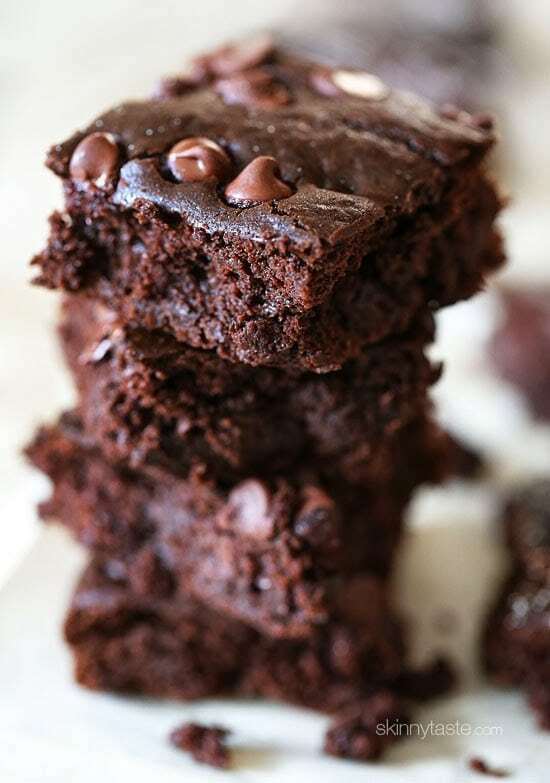 Pingback: Black Bean Brownies (GF) – Strong Mädchen. I made these for my night shift family at the hospital, we all love to snack at night! Let me tell you, these were GONE as soon as I put them out! No one could believe these were made with black beans! I actually ran out of the vinegar and was able to substitute with 1/4 teaspoon of honey and 1 teaspoon of red wine vinegar. I will be making these for every party and function I go to! I couldn’t stop raving and sharing this recipe! Thank you!!!!!! These are amazing ! Substituted the oil for applesauce used 1 tbsp and cut the sugar in half used coconut sugar ! These are soooo good I can’t believe there are beans and balsamic vinegar in them! How much coconut sugar did you use? Did you use any regular sugar?